All six of us together resort hopping! On my last post, someone asked me about what happened to my roommates. Apparently they seemed to have "dropped off the face of the Earth" (lol). They didn't, I promise. Let me explain what happens when you room with five other girls. We started out hanging out together all the time. We made sure everyone could go to whatever park we had planned on visiting that day, and we all went to dinner together. Honestly, we all got along just fine pretty much the entire time. We never had any huge drama, fights, or anything of the sort (which is kind of a miracle for putting six random girls into one living area). The only small problems we'd have were related to everyone doing their part when it came to cleaning the kitchen and preparing for inspection. I'm not going to say names, but we also had some suspicions about some people stealing food without asking...but we could be wrong and it was a very minor occurrence. What really got in the way of staying close to all of them was our work schedules. For example, Sarah drove trucks in the Kilimanjaro Safaris in Animal Kingdom, while me, Briana, Sara and Liz worked in Magic Kingdom or MK's resort areas. Animal Kingdom has early morning shifts, while if you work in MK or it's resorts, you usually have night shifts. (Bethany worked at DisneyQuest and had kind of mid day shifts which made it even more confusing.) Naturally if someone has a completely opposite kind of work schedule as you, you don't see them nearly as often as someone who has the same kind of shifts. I grew extremely close to Liz, mainly because we had similar bad sleeping habits and stayed up super late together all the time. We also had the same kinds of night shifts, similar enough for her to drive me to work every once in a while. I definitely hung out with her the most throughout the program...I think even more than Sara (my best friend from home who came with me). Every once in a while there were special circumstances in which we would have the same days off, so we would take that opportunity to hang out together. I took a class with Bethany, which was every Wednesday morning at 8 am (ick), so I got to see her at least once a week. Sometimes if I got switched to have a few morning shifts, I'd be able to see Sarah and hang with her every once in a while. But honestly what happens is you make new friends who have similar schedules as you. Everyone that I lived with started making friends with their co-workers, which is great! I was friends with my co-workers, but we didn't necessarily hang out outside of work all that much. I mainly became close friends with people that I had met on Facebook or Tumblr before the program started. I would a lot of times introduce those friends to Sara and Liz (the two roommates I hung out with the most), and then we'd all be friends and hang out whenever we could. Bethany and me at graduation! Things started to kind of change when applications for extending your program starting rolling around. Briana, Liz, and Sarah all applied to stay throughout the summer (instead of leave at the end of May like I did). Bethany actually applied to leave a week early for Summer classes. Briana and Liz got accepted, but Sarah didn't and decided to go seasonal during the summer. When you extend, you have to change apartments if you don't have all of your roommates extending with you. The original move out date was June 1st for Liz and Bri extending, but Bri actually requested to move out earlier so she could move in with some friends she had made during the program. It was a little random, especially since it wasn't really in her plan to tell us that she was moving out nearly three weeks early. We found out from Bethany, who was her direct roommate in our apartment. When the time came for her to move...she just left. Didn't give us a warning and didn't say goodbye. She's still in Patterson, and Sara saw her at the bus stop every once in a while, but that's really it. I got to hang with Bethany a little more as time went on, thankfully. I really wish our work schedules had allowed us to hang more. We went to DisneyQuest together, which was pretty cool. Definitely something to check out if you like video games. Anyway, she left a week early which was really sad. I got to see Sarah a little more as the program was starting to end as well, which was nice. Liz and Sarah drove with me and Sara to the airport to say goodbye, which was really sad. Overall the thing to remember about roommates is, you're all different people with different work schedules and different personalities. You could get along really well beforehand on Facebook, and then never really stay friends in real life. The opposite could happen to, where you don't talk to them beforehand but become close during the program. Both instances happened to me during my program. You just have to be prepared for anything! One of your best posts yet! Well done. Any romance while on the DCP? Wild hot tub parties? Are all the stories we hear true about Vista Way? No I didn't have any romance during the program, and honestly I'm not the best source about Vista because I didn't stay there nor did I party during the program. I was there for other reasons. Though I can say that I did have friends that lived in Vista and they told me the stories and rumors were true. Otherwise I'm not the person to turn to about those kinds of stories, sorry! Good job. I am enjoying your posts. Glad to hear that not everyone is as wild as I hear. Lots of folklore about Vista and the DCP. It takes the attention away from all the good it does. 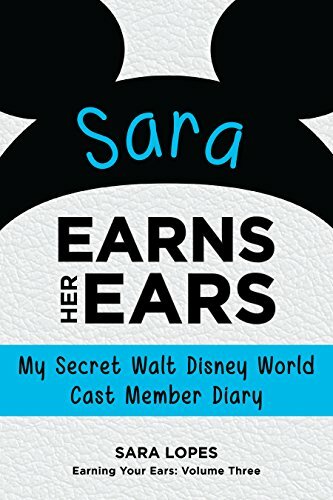 We would love to hear about Sara's time at Wilderness Lodge (guest blog?). WE love that spot!